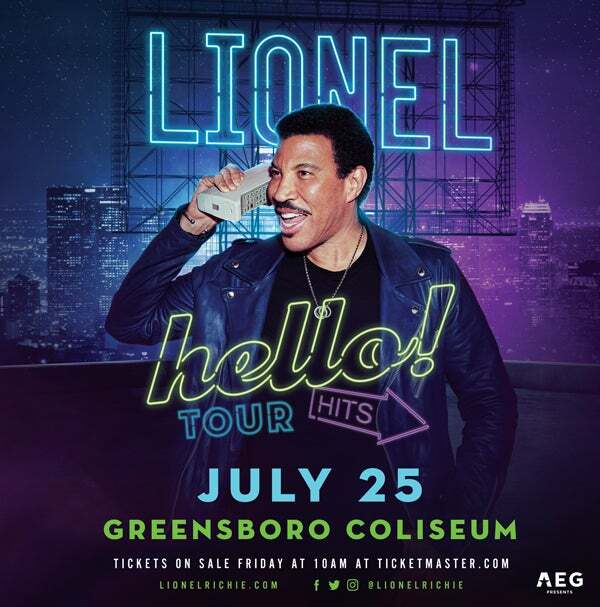 Tickets for the July 25th Greensboro Coliseum concert go on sale to the general public this Friday, March 29, at 10:00 AM local time at https://lionelrichie.com/shows/. The album Live from Las Vegas was recorded at Zappos Theater at the Planet Hollywood Resort and Casino. It features Richie performing material from throughout his career, including beloved songs from his solo albums (“All Night Long,” “Say You, Say Me,” “Hello,” “Dancing On The Ceiling” and “Truly”) and his time with The Commodores, where he developed a groundbreaking style that defied genre categories, penning smash hits such as “Three Times a Lady” and “Easy.” The album also includes an inspiring performance of the landmark song “We Are the World,” which Richie co-wrote for USA for Africa.